How would you like to go to Europe for a 2-week holiday for free? If you would love that, I mean, really, really love that, then read on. Sedunia Travel, one of the leading travel agencies in Malaysia, recently launched their new travel packages and products in conjunction with their appointment as the country’s General Sales Agent (GSA) for Globus family of brands (Globus, Cosmos, Monograms and Avalon Waterways). To commemorate and celebrate this milestone, they have come up with a contest that is worth promoting to all you avid travellers out there. Why? Well, let’s have a look at the prizes. 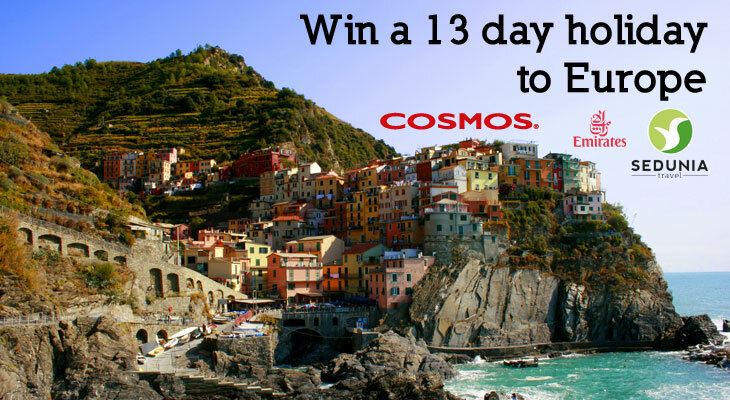 One winner and me a friend will get to travel to Southern Europe, i.e. 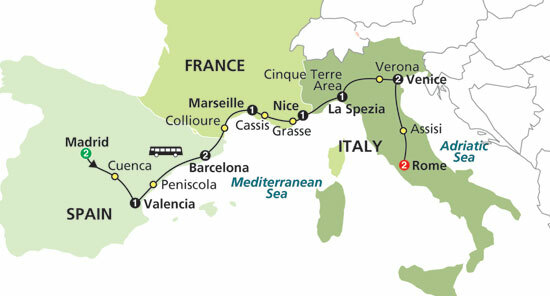 Spain, Southern France & Italy, on a 13-day adventure to experience and explore Mediterranean culture and flavours as well as enjoy the laid back and beautiful Mediterranean summer weather with Cosmos on their brand new Mediterranean Flavours tour. + 20 winners will also win a travel voucher for RM1,000 each, which can be used for any Globus, Cosmos or Avalon Waterways trip. + 100 contestants will win a RM600 travel voucher each. 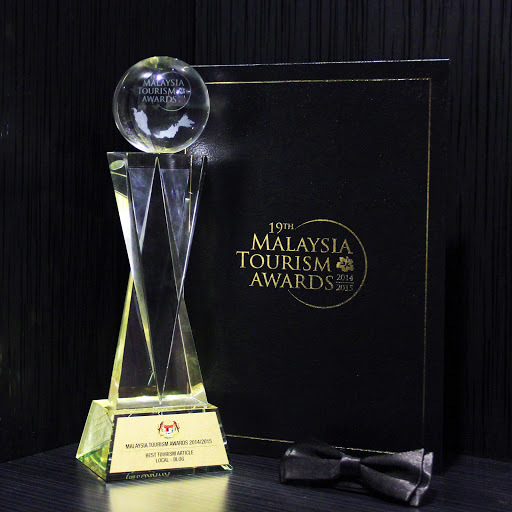 The total prizes to be won worth RM100,000. Now how supercalifragilisticexpialidocious is that? c) Write a slogan. No minimum length, just tell Sedunia Travel why you would like to go on a Cosmos tour. Is there any catch that you need to be aware of? Yes. You have to pick me as your travel partner if you win the Grand Prize. No. That’s it. It’s as easy as A, B, C. As with other competitions, it won’t hurt however to check and read the full terms and conditions of the competition. Competition closes on 28th Feb 2013, so be quick! On the Mediterranean Flavours tour, everything will be taken care of – so you can enjoy the best the region has to offer at its best, in summer! Arrive on an Emirates flight from Kuala Lumpur, Malaysia to the capital of Spain, Madrid. 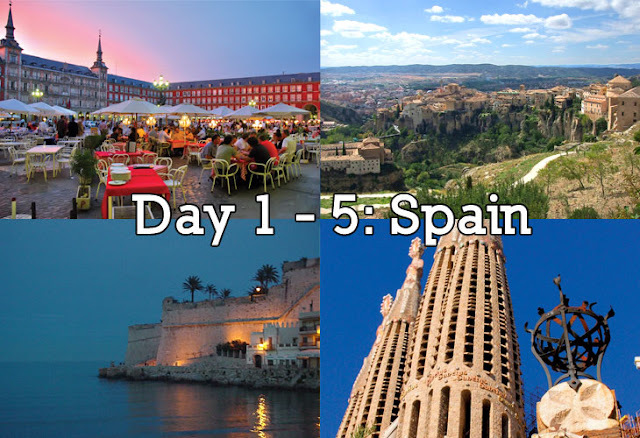 Spend 5 days in Spain visiting Madrid, Cuenca, Valencia, Peniscola and Barcelona. Travel through the South of France. 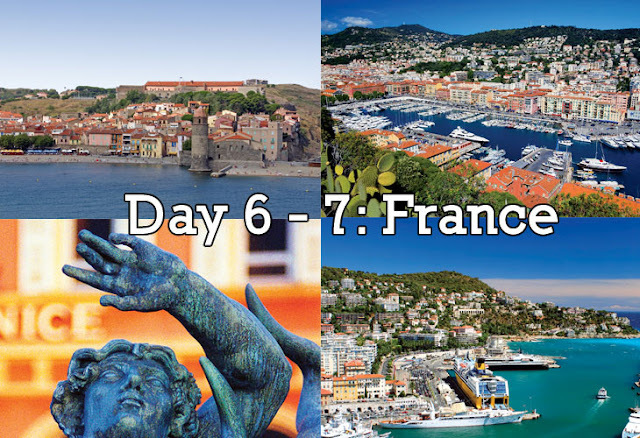 Spend 2 days exploring Collioure, Marseille, Cassis, Grasse and Nice. End your holiday in Italy by spending 6 days in this beautiful country. 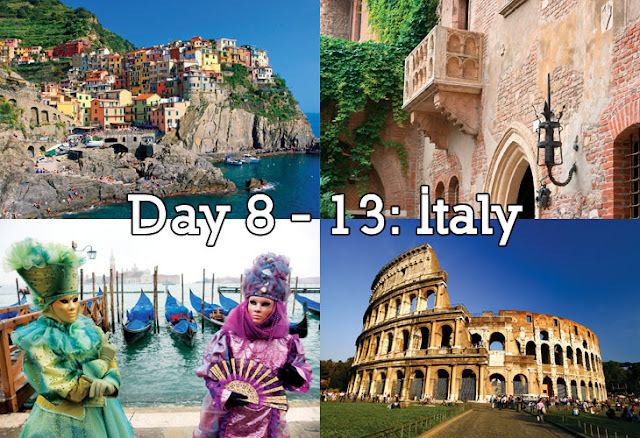 Visit Cinque Terre, La Spezia, Verona, Venice, Assisi and finally Rome. On the last day, fly Emirates from Rome back to Kuala Lumpur. For more than 50 years, Cosmos has offered savvy, value-minded travellers the most affordable travel packages to the world’s most fascinating places. Pioneers in budget travel, this world-class brand can offer trips to Europe from just RM230 a day. On every tour, everything is taken care of. From their experienced tour directors to expertly guided sightseeing, you know you are really getting the chance to explore a place. Cosmos has over 100 itineraries to Europe and America so there will always be something for everyone.